Does your refrigerator run constantly? Has your garbage disposal given up the ghost? Does your washing machine shake itself across the laundry room whenever you use it? We do everything in our power to provide same-day appliance repair in Hacienda Heights CA whenever possible, and we always give a fair price. As an authorized service center for Amana, Jenn-Air, Maytag, Whirlpool and Scotsman appliances, we can provide warranty repairs for all models from these brands. Keeping our customers happy is very important to us here at American Appliance Repair. 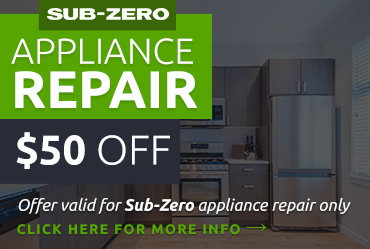 Because we always want our customers to enjoy hassle-free performance from their appliances, we make every effort to provide same-day service for all kinds of appliance repair. We’ll let you know what’s wrong with your appliance, how to fix it, and what the cost would be, but the final decision as to how to proceed will be up to you. We’ll even provide our honest opinion as to whether a repair to an older appliance is really worth it, of if it would be more cost-effective to replace the appliance. 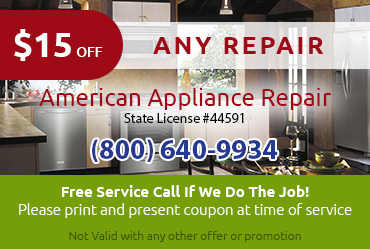 Please don’t hesitate to call us with any questions about appliance repair in Hacienda Heights CA. 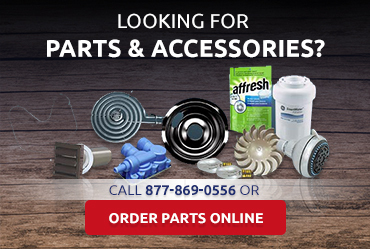 Ready to Get Expert Appliance Repair in Hacienda Heights CA? 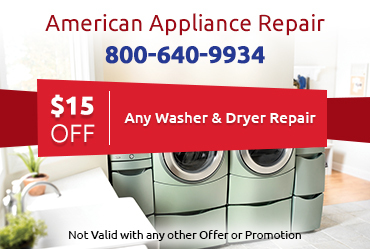 When you need any kind of appliance repair in Hacienda Heights CA, all you have to do is call or click. We'll have a seasoned professional helping you in no time.